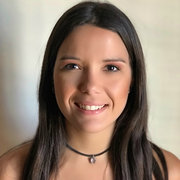 I started working with kids when I was 19 as a classroom assistant in a bilingual school in my hometown, Recife, located in the northeast of Brazil, and soon I was promoted to classroom teacher. I also worked as a language instructor in an English Institite, and the age of my students varied between 3-18 years old. I graduated in Languages last year and I decided to come to the USA as an Aupair. I currently live with a family in Riverdale, and I take care of three kids- they are 12, 9 and 6 years old. I like to take them to play outdoors, read books, play card and board games, drawing and painting. My duties include: Cooking, monitor the boys shower/bath, help the with their homework and ut them in bed.